A woman is warning other parents about the potential dangers of trampolines. 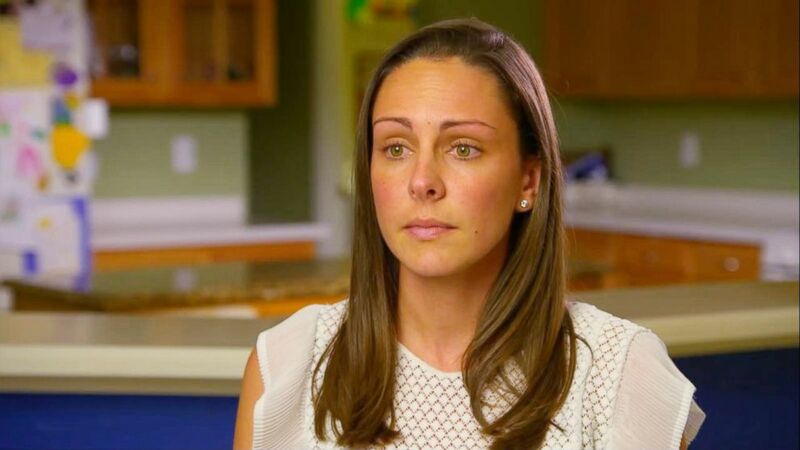 A Florida woman is speaking out after her 3-year-old son was injured at an indoor trampoline park, warning other parents in an interview with "Good Morning America" today. "No mother, no father, ever wants to see their child the way that we had to see Colton," she said. Kaitlin Hill, a nurse and the mother of two, from Tampa, Florida, told ABC News that her son, Colton, broke his femur and was put in a cast from his waist down after a visit to a local indoor trampoline park in June. "The pain that he went through and the pain that he is continuously going through at this point — it's been a nightmare," she added. Hill posted a photo of Colton in his cast on her Facebook page, with the caption "As hard as it is to relive the past 12 days, we feel compelled to make other parents aware of the danger associated with indoor trampoline parks." The post soon went viral, garnering over 240,000 shares since last Friday. Hill told ABC News that her son was jumping normally at the trampoline park when, all of a sudden, "his feet hit the mat, and almost instantly his knees buckled down, and he just let out the worst scream that you could ever have heard from a child." "We took him to the hospital, where he was diagnosed with a left femur fracture, the strongest bone in his little body," she added. "We learned from our amazing medical team that children of Colton's age should not have been on a trampoline at all. We were completely shocked to hear this. We had no idea," Hill said. "My husband and I would have never put our baby boy on a trampoline if we would have known that beforehand." She said that they were especially shocked because the trampoline park they went to "specifically advertises for small children. They advertise for toddler time." She said that she signed a waiver before they started jumping but she cannot recall its terms. The American Academy of Orthopedic Surgeons advised parents in a 2015 position statement on trampoline safety not to allow children under 6 to use trampolines. The group also recommended allowing only one person at a time on a trampoline. While it is unclear how many injuries occur at trampoline parks, the Consumer Product Safety Commission estimated that in 2015 there were 107,100 trampoline-associated injuries in the U.S. that were treated at hospital emergency rooms. It is aware of 21 deaths from 2009 to 2013. The trampoline park that Hill and her son visited, Skyzone Tampa, told ABC News in a statement, "Our thoughts and prayers are with the injured child and his family. Guest safety is our top priority, and we are investigating how an incident of this nature might have occurred." Bethany Evans, the executive vice president of the International Association of Trampoline Parks, told ABC News, "We do offer education and training to make sure that individuals responsible for maintaining and operating the parks are qualified to do so." (ABC News) Kaitlin Hill speaks out in an interview with "Good Morning America" after her 3-year-old son broke his femur bone at a local trampoline park. Skyzone Tampa did not respond when asked whether it plans to continue its trampoline times for toddlers. Hill said seeing Colton in his cast was "absolutely devastating," especially knowing that he will not be able to walk for the next six weeks. Asked what message she wanted to send to the trampoline park, she replied, "They need to make parents aware of the risks." Hill said she is sharing her story to ensure the same thing doesn't happen to anyone else's child. "I want to prevent even just one family, one child, from having to go through this," she said. "I would do anything." Hill has not filed a lawsuit. In a second statement to ABC News, Sky Zone Tampa said how the incident has been portrayed in the media is at issue with their unreleased video footage.